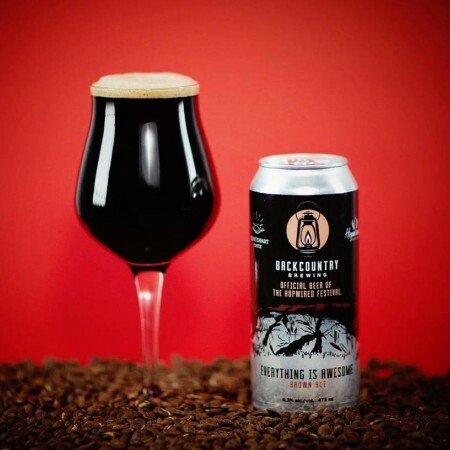 SQUAMISH, BC – Backcountry Brewing has announced the release of beer created with Counterpart Coffee Roasters especially for an upcoming festival that brings together craft brewers and artisan coffee roasters from British Columbia and beyond. To emulate the experience of getting a coffee at Counterpart we brewed this brown ale with speculaas cookies baked in the Backcountry Kitchen. We then aged the beer on spices and coffee that was selected and roasted by Counterpart Coffee Roasters. Everything Is Awesome is out now in 473 ml cans and on draught at Backcountry, with cans also available at select private beer retailers in the area, and it will be featured alongside several other brewery and roaster collaborations at Hopwired.